Patricia DeSantis Belton focuses her practice on management-side labor and employment matters, including wage and hour violations, discrimination, harassment, wrongful termination, and relations between management and unions. Patricia is skilled in all areas of the litigation process including investigation, strategy, propounding and responding to discovery, taking and defending depositions, preparing and opposing motions, mediating cases to resolution, and appearing in state and federal court. She is also experienced with investigations and evidentiary hearings with administrative agencies including the Division of Labor Standards Enforcement, the Department of Fair Employment Housing, the National Labor Relations Board, the Public Employment Relations Board, the Equal Employment Opportunity Commission, the Employment Development Department, and the Department of Consumer Affairs. Patricia is accomplished as first- and second-chair trial counsel before administrative agencies, including the Division of Labor Standards and the National Labor Relations Board. Patricia studied traditional labor law at the Cornell School of Industrial and Labor Relations, and her traditional labor experience includes counseling related to issues including organizing/avoidance campaigns, work stoppages, reductions in force, and other related issues, as well as collective bargaining. She has defended representative and decertification elections, unfair labor practices, grievances and arbitrations. Patricia regularly helps clients manage litigation risk through advice related to personnel policies, employee handbooks, arbitration agreements, employment contracts, employee discipline and discharge, accommodations, protected leaves of absence, and labor relations. She investigates claims of harassment, discrimination and retaliation. Additionally, she lectures and consults in these areas and on other employment-related matters, including providing sexual harassment training. Patricia secured victory on behalf of a not-for-profit hospital and three managerial employees in a single-plaintiff race, age, and gender-based wrongful termination and defamation lawsuit brought by a former employee. She took and defended all depositions and drafted and argued the winning motions for summary judgment on behalf of all defendants. She successfully defended the results of a National Labor Relations Board election at a 12-day evidentiary hearing on over 40 objections, resulting in a complete victory for the employer client. She was the second chair at the hearing and drafted the post-arbitration brief. Patricia secured victory for a public hospital district in a labor arbitration involving the termination of a senior union employee without use of progressive discipline. She was the second chair at the arbitration and drafted the post-arbitration brief. She secured victory in defense of claims of extortion and FEHA-based causes of action on demurrer in a case brought by a member against a limited liability production company. She drafted and argued the demurrer, which was sustained with prejudice as to these claims. Patricia secured victory for an employer in a wrongful termination case based on a theory of breach of duty of fair representation/breach of collective bargaining agreement. She drafted the winning motion. She secured a 9th circuit appellate victory for the respondent employer in defense of a 9th circuit appeal following its win in district court. The 9th circuit decided the matter on the papers without oral argument based upon the brief she drafted. 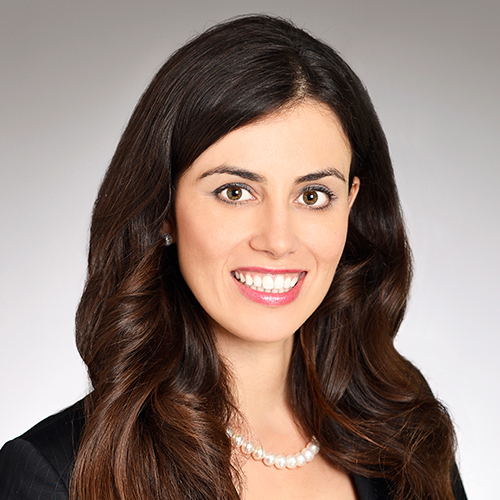 Patricia secured early judgment in favor of the employer’s affiliated companies in a wage and hour class action filed by a current employee on all claims on the basis that they were not alter egos, joint employers or an integrated enterprise with the plaintiff's employer. She also opposed a motion to tax costs and made a winning oral argument securing cost award for clients. She secured early favorable summary adjudication of overtime claims for an employer in a wage and hour class action based on a collective bargaining agreement. Patricia secured victory on behalf of a for-profit college in a fraud lawsuit brought by the parent of a former student related to defaulted student loan. She drafted and argued the winning motion for judgment on the pleadings and secured a cost award for the client.